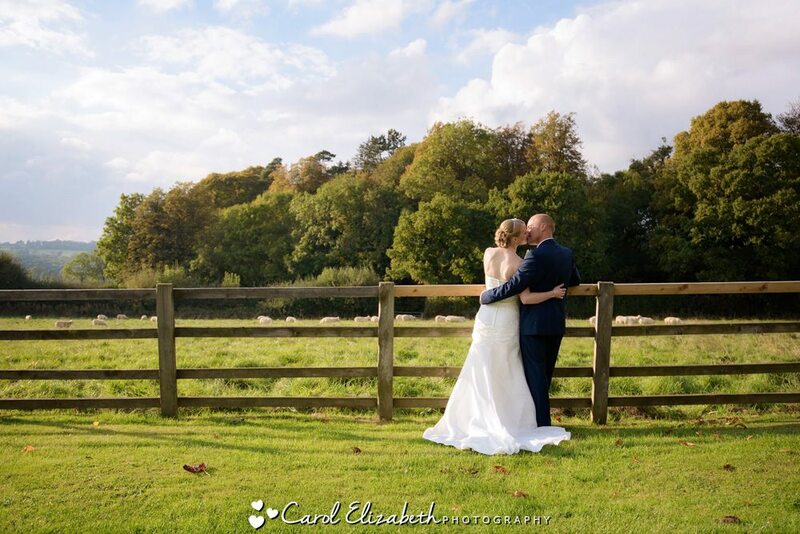 Nicola and Scott had perfect weather for their big day. 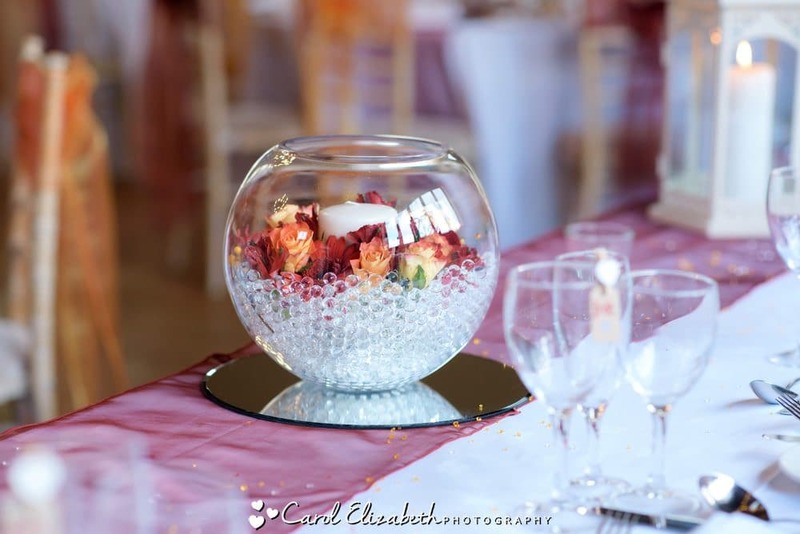 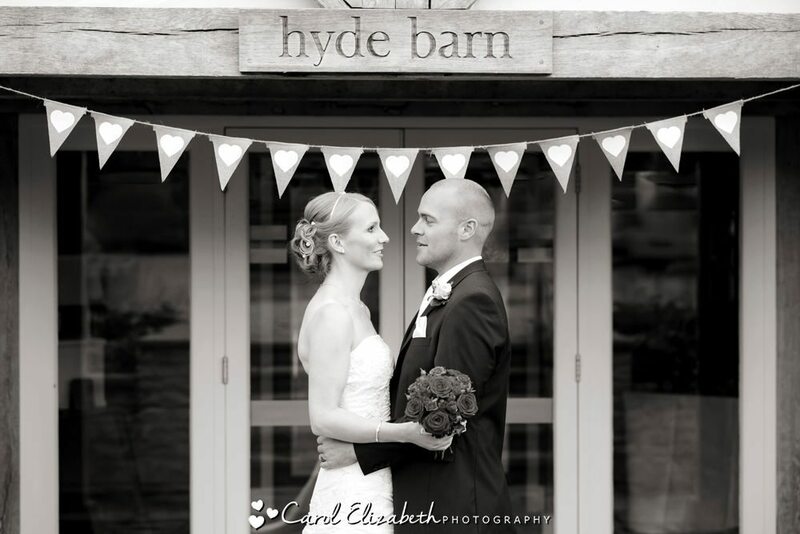 I couldn’t wait to showcase their Hyde Barn wedding photography. 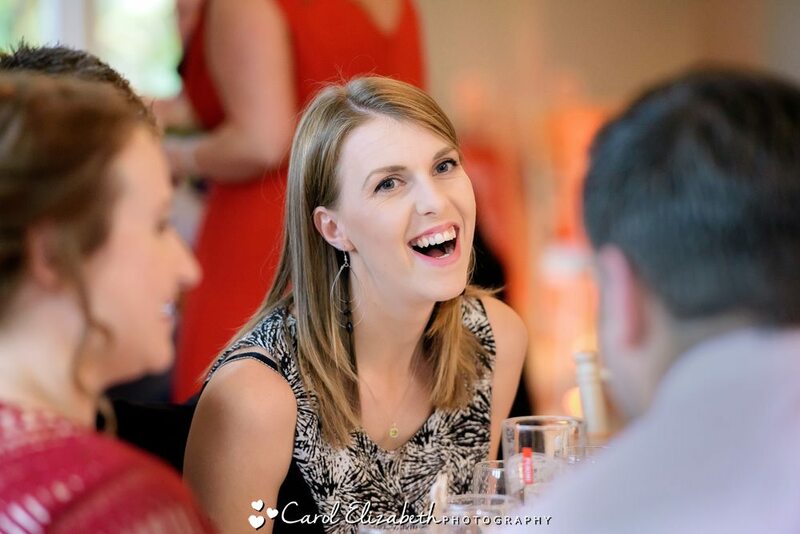 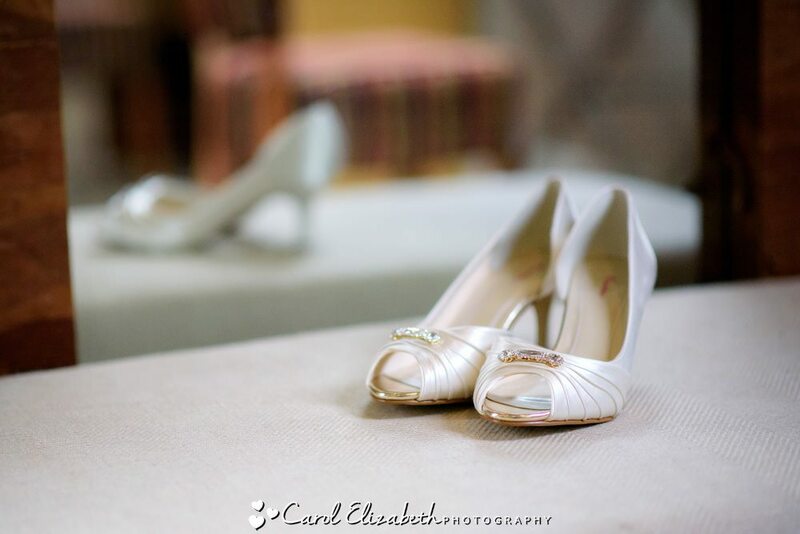 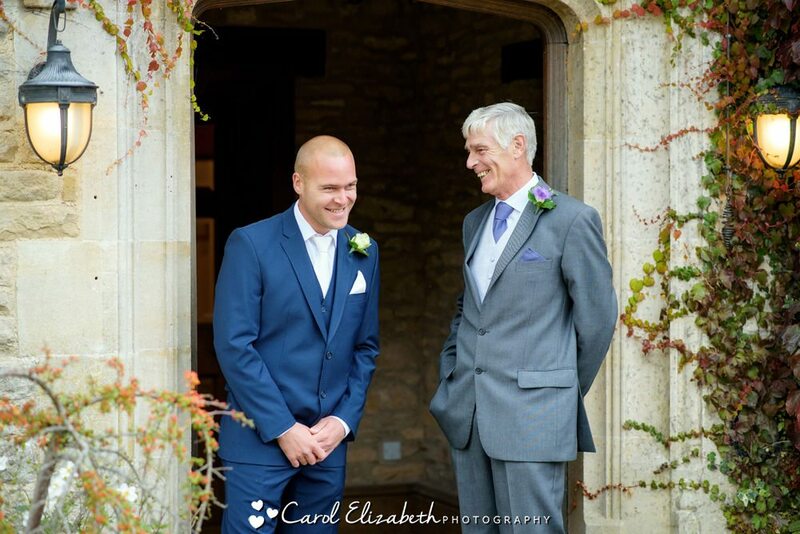 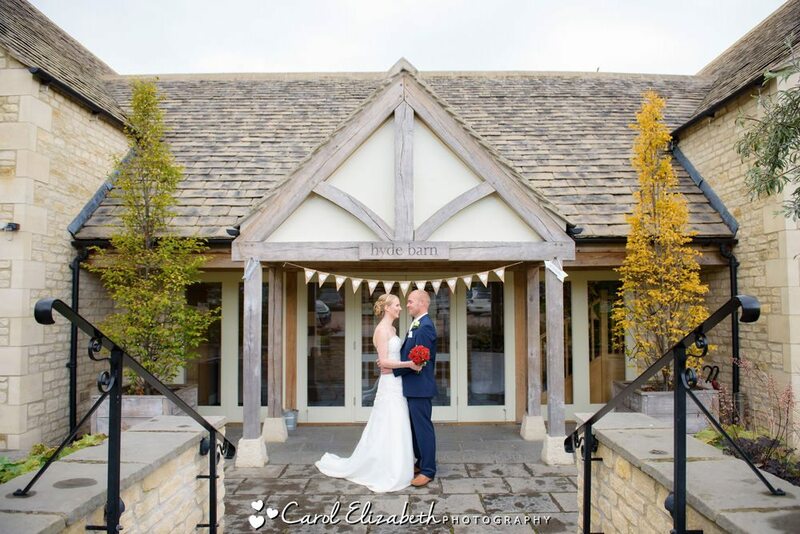 If you are looking for a Cotswolds wedding photographer then I hope you enjoy looking through this wonderful wedding! 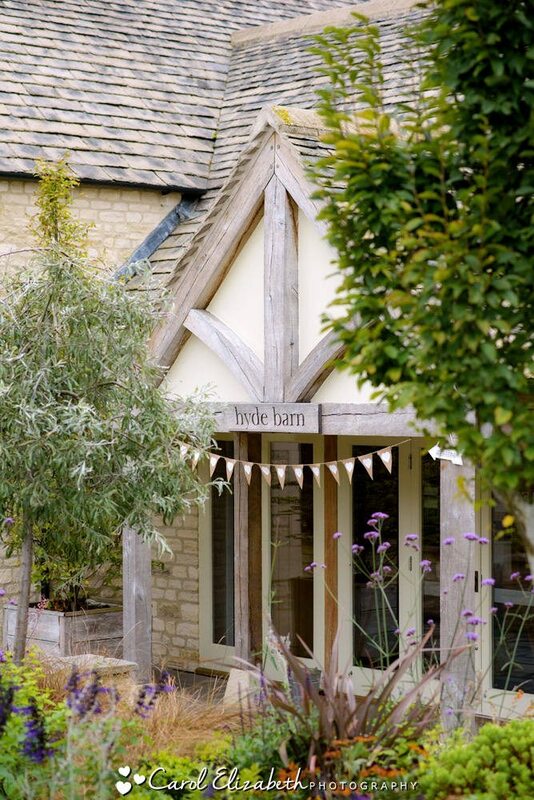 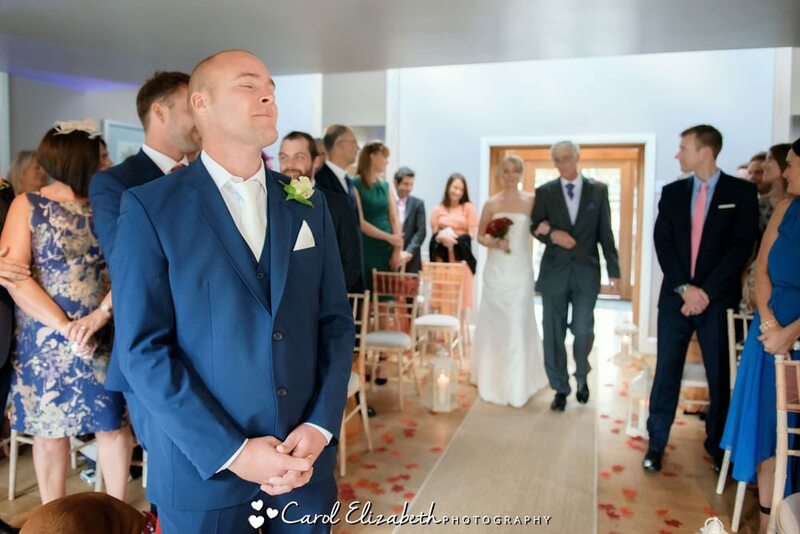 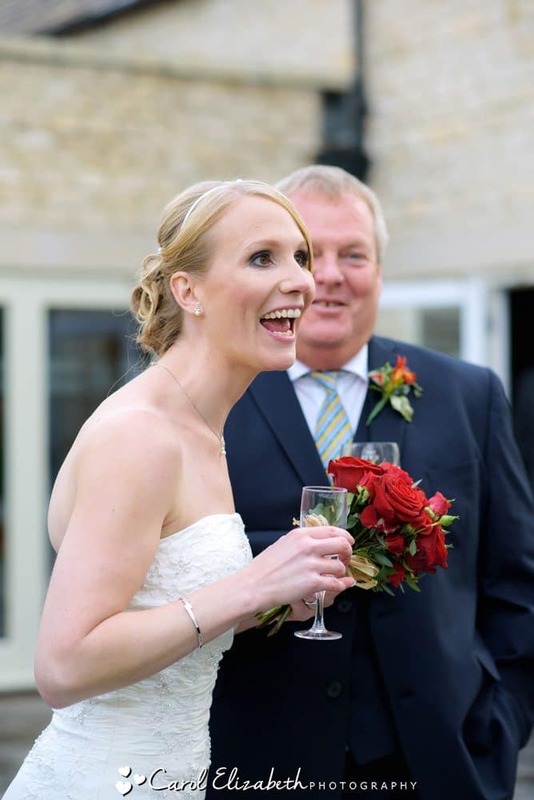 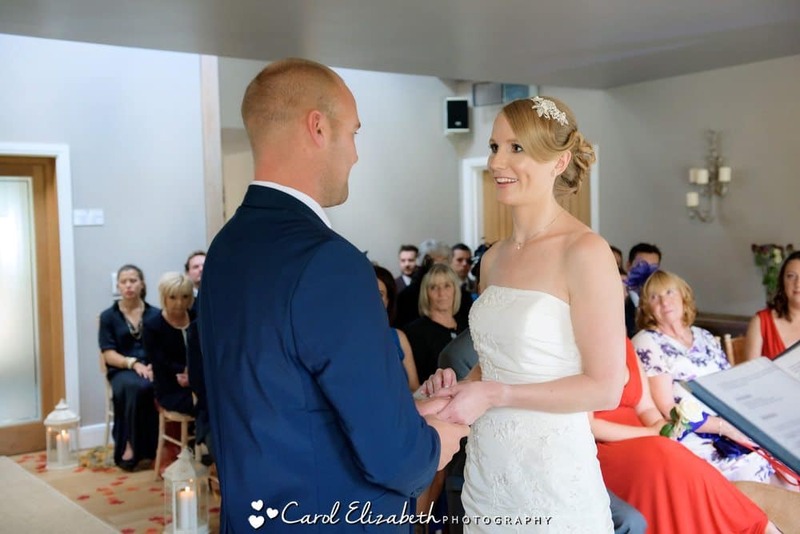 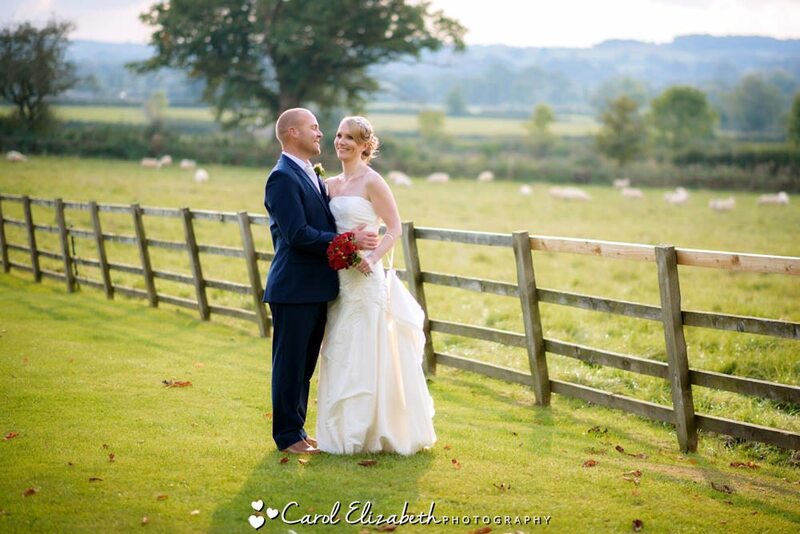 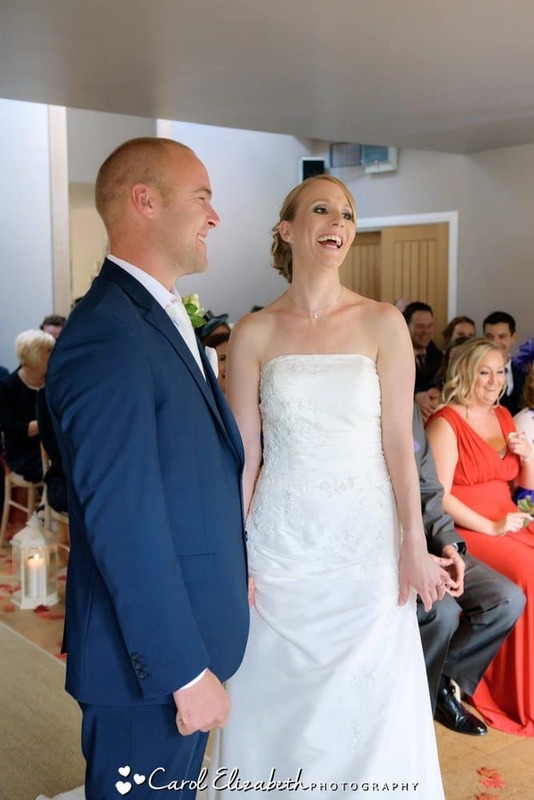 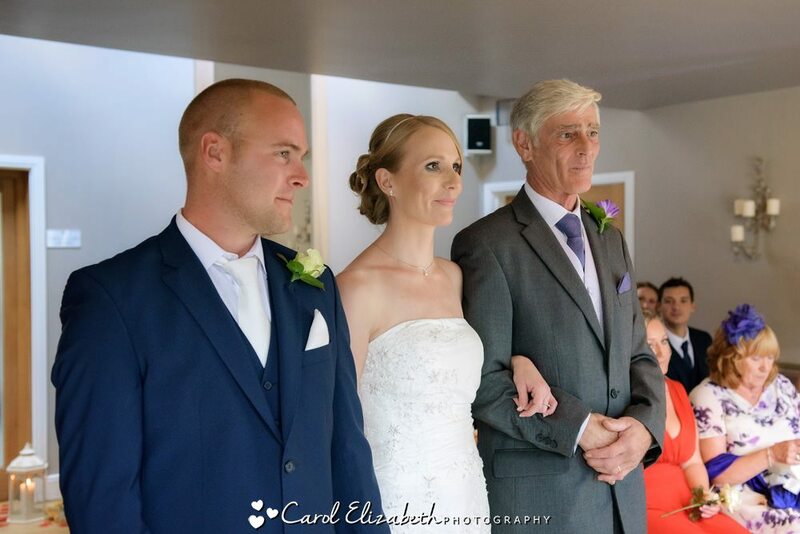 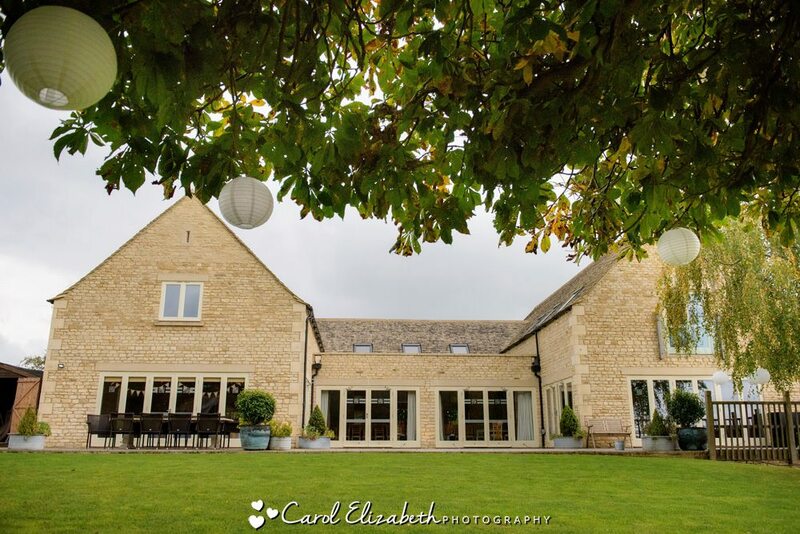 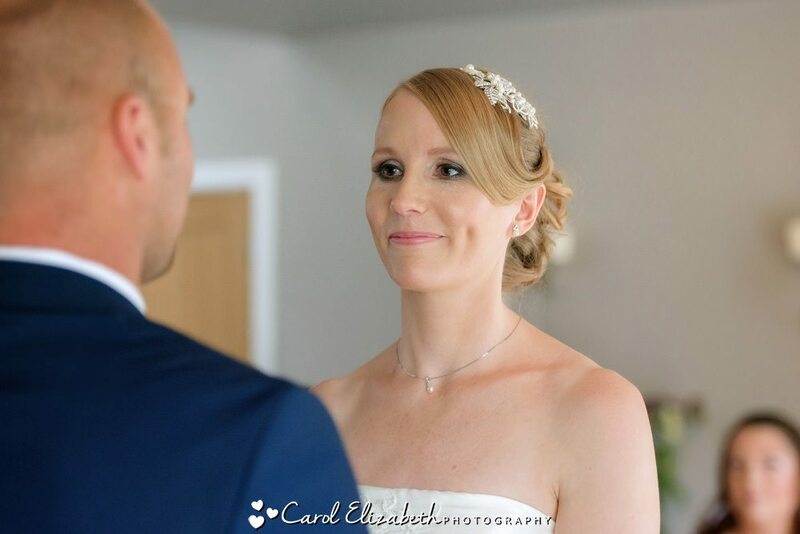 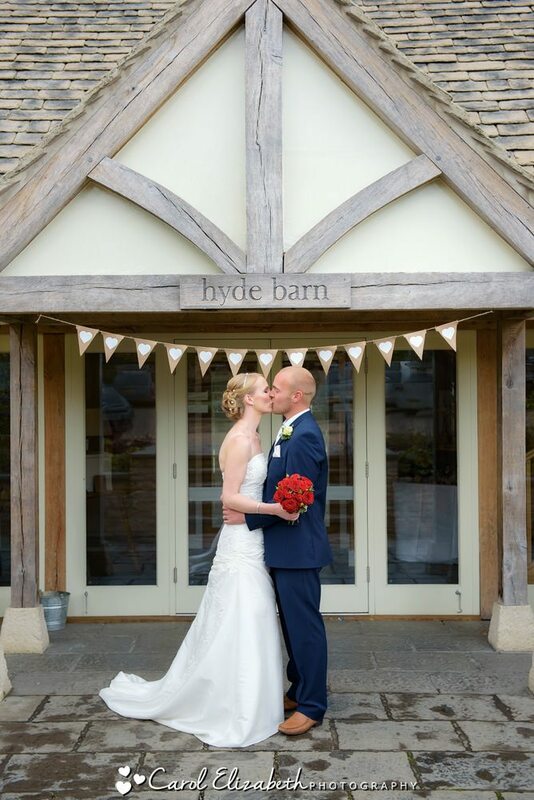 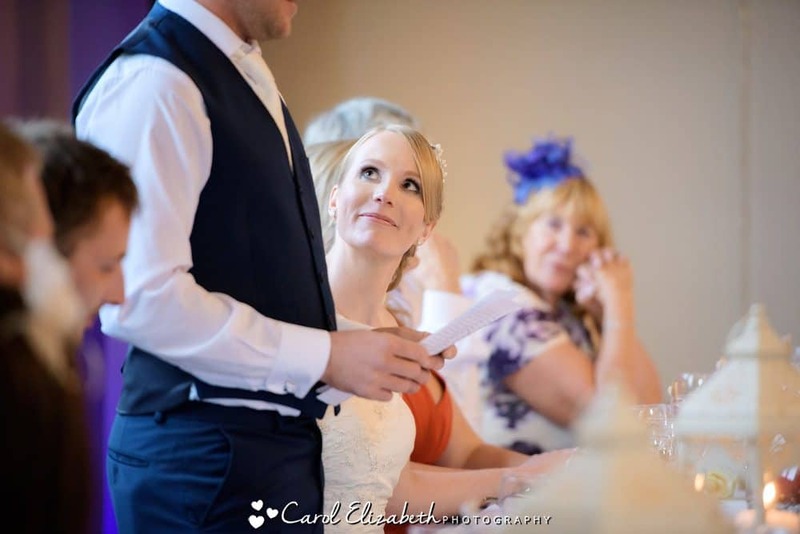 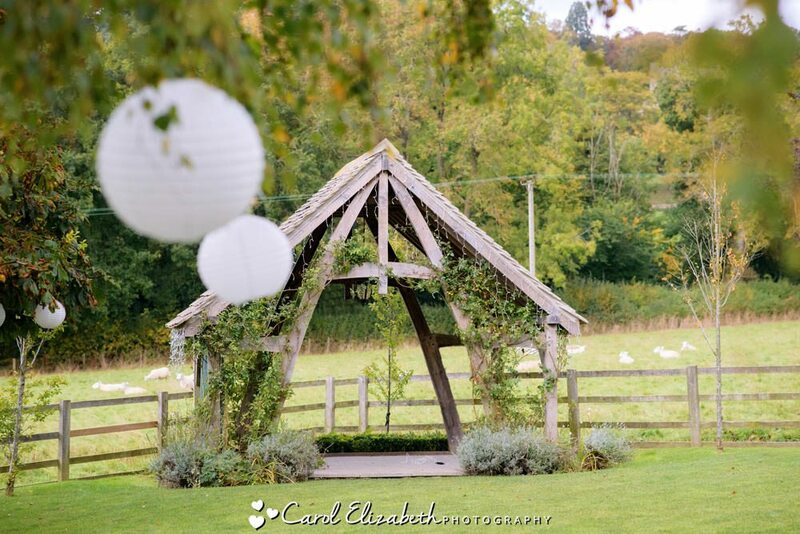 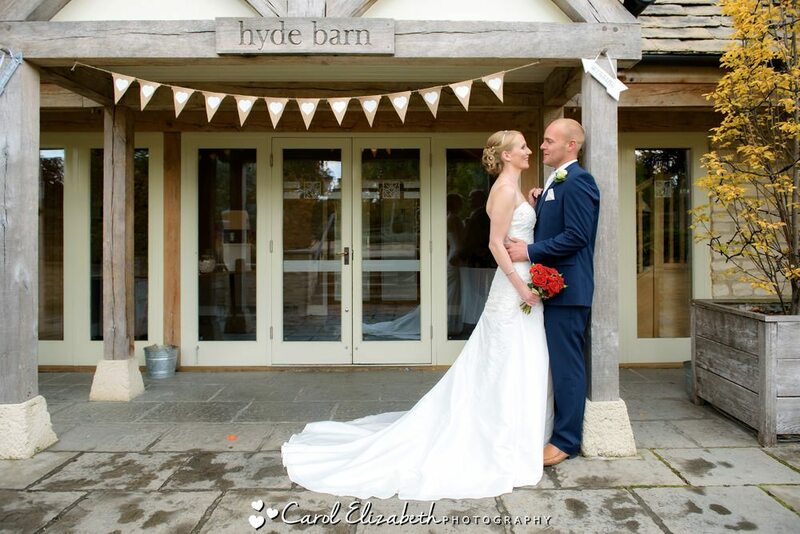 Hyde Barn and Fosse Manor are a perfect wedding ceremony location, with plenty of accommodation, and a large barn and ceremony room, with the option of an outdoor wedding ceremony. 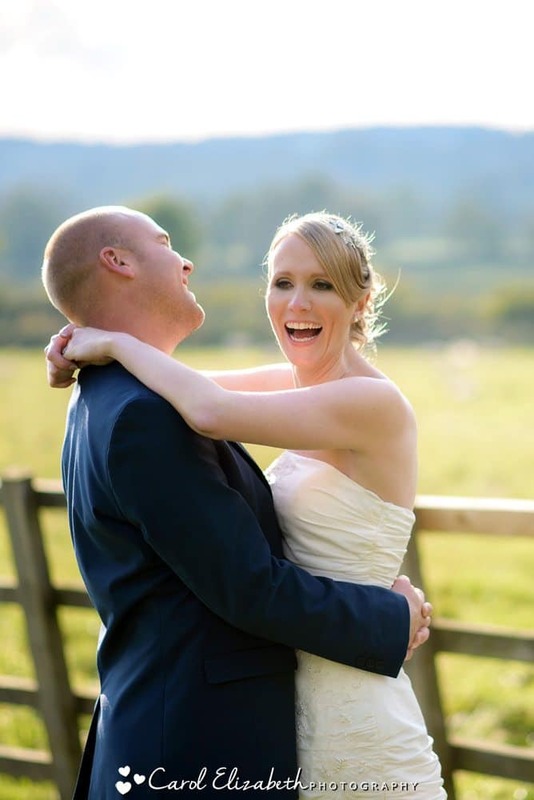 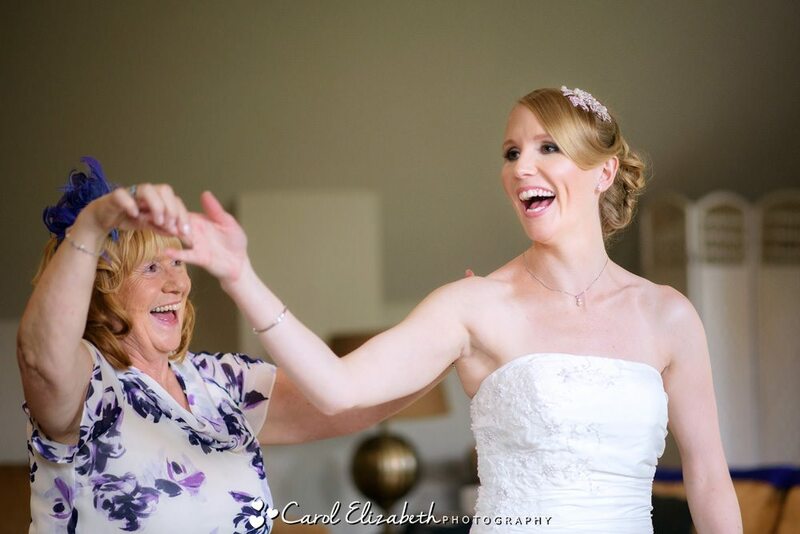 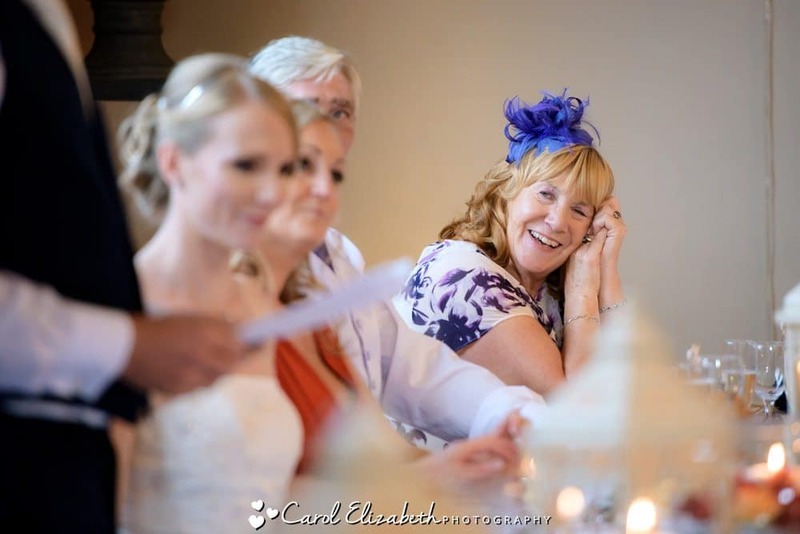 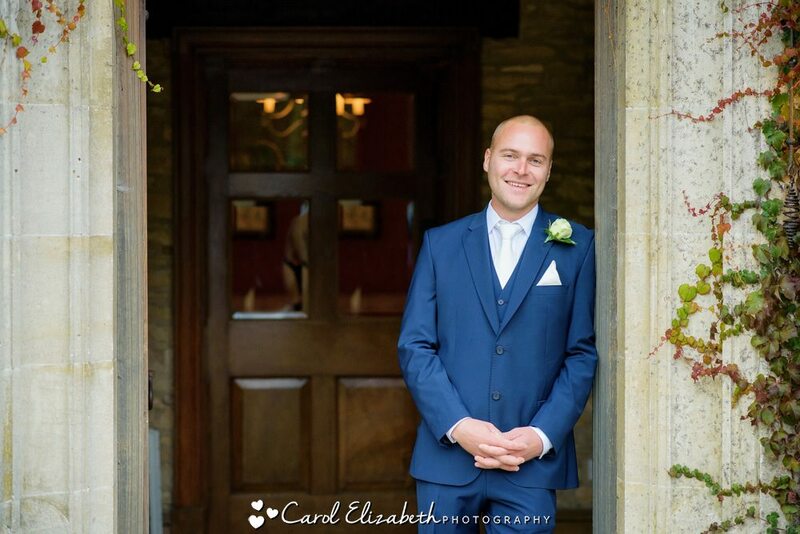 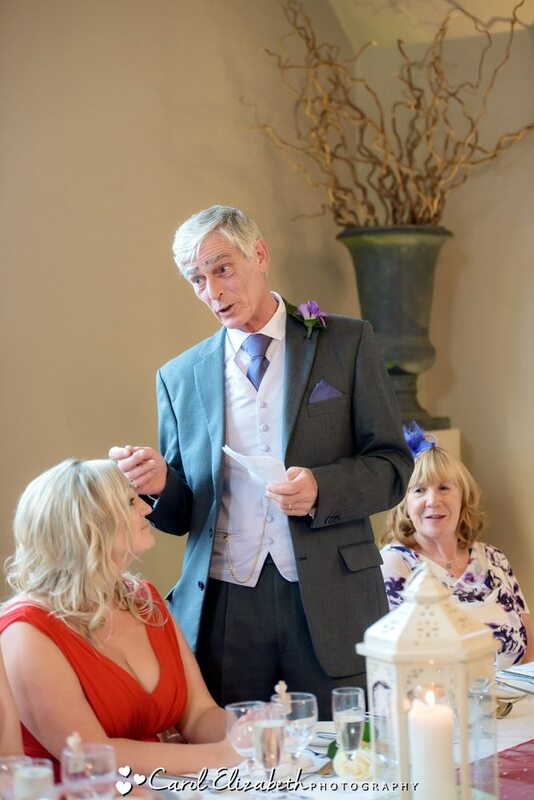 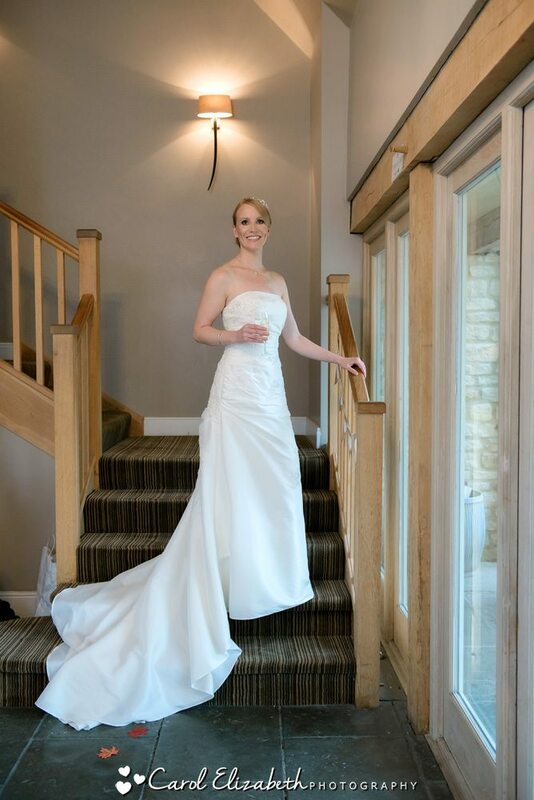 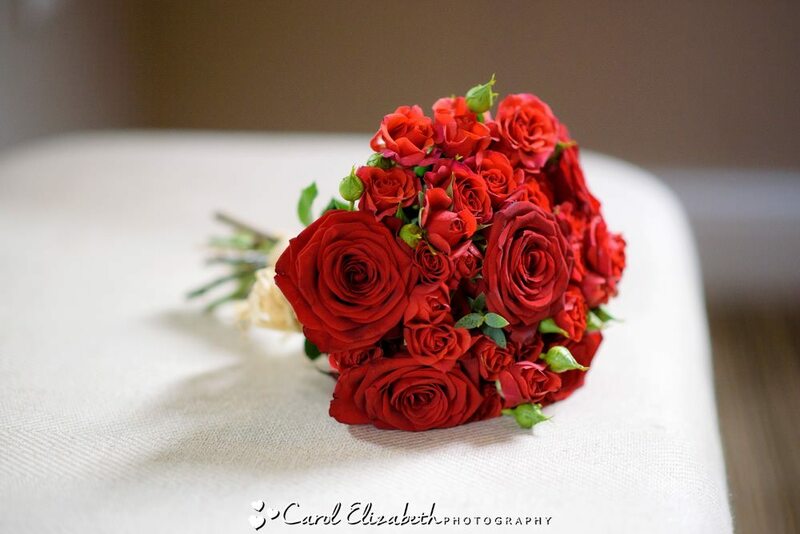 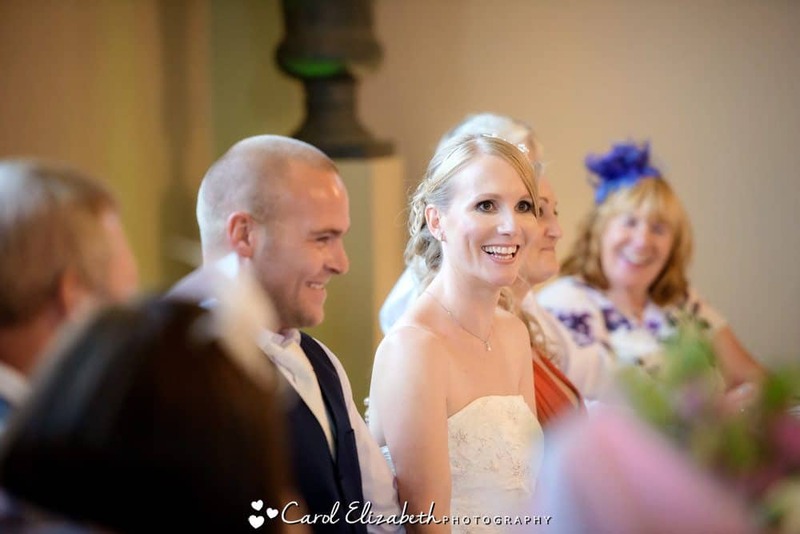 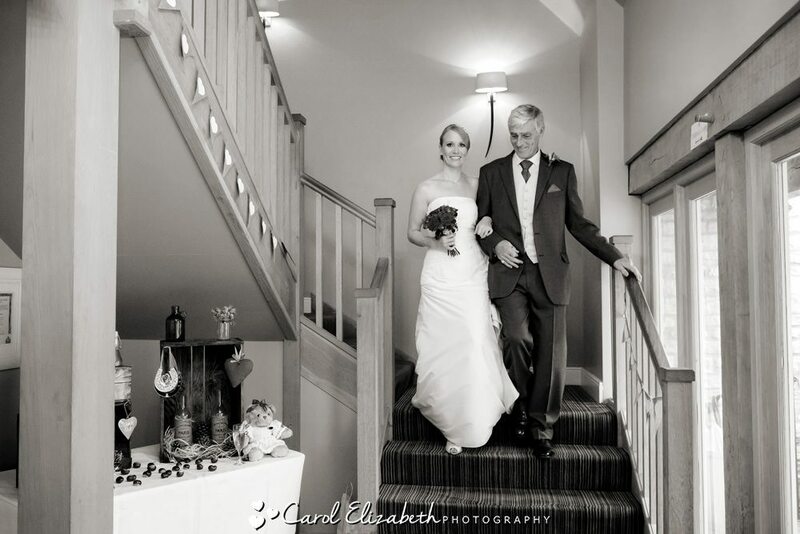 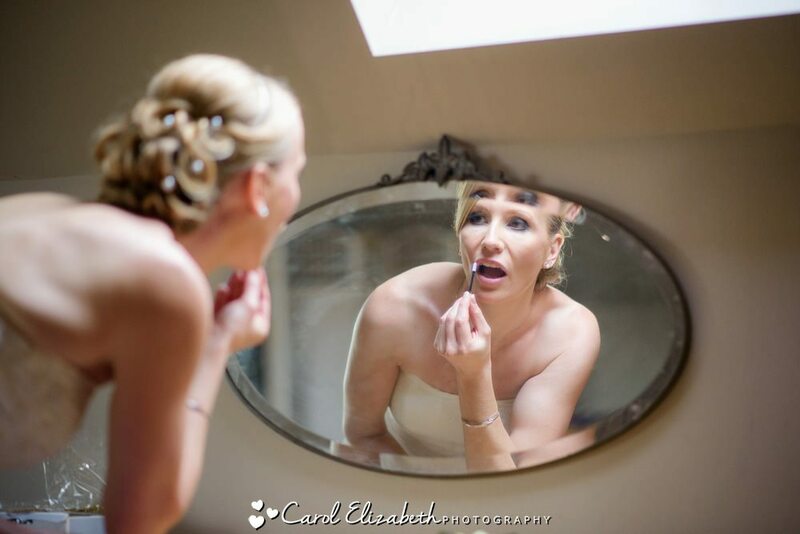 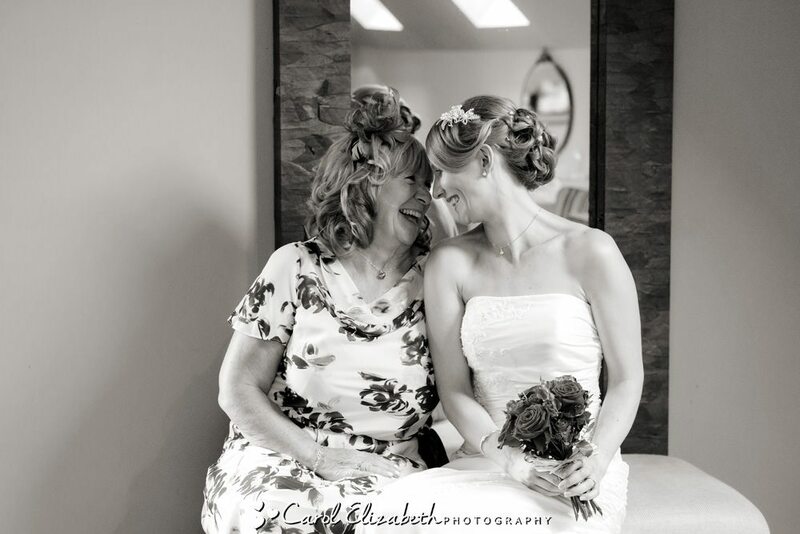 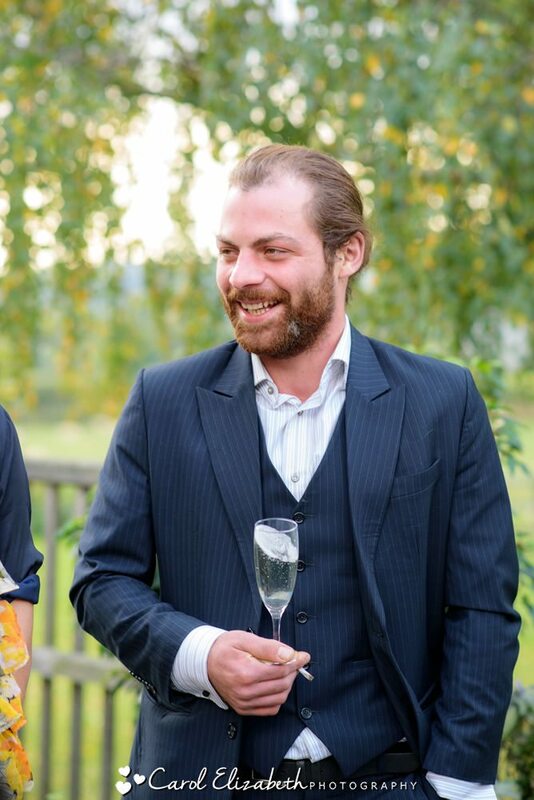 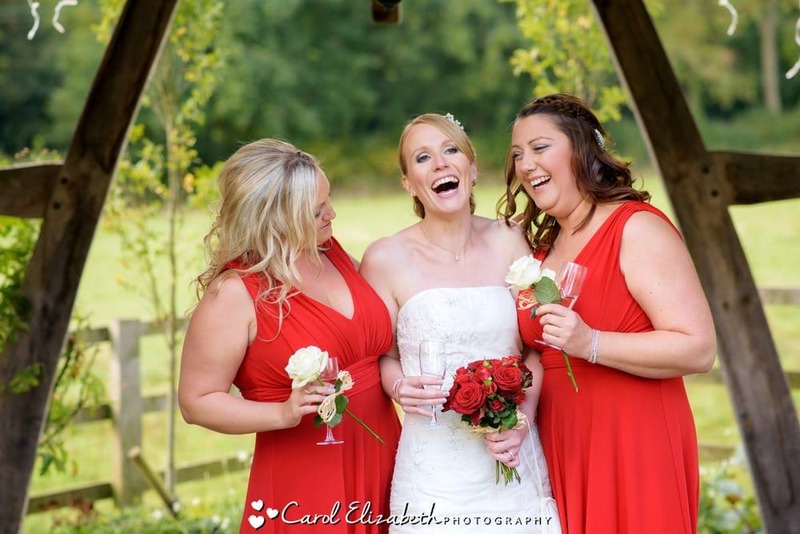 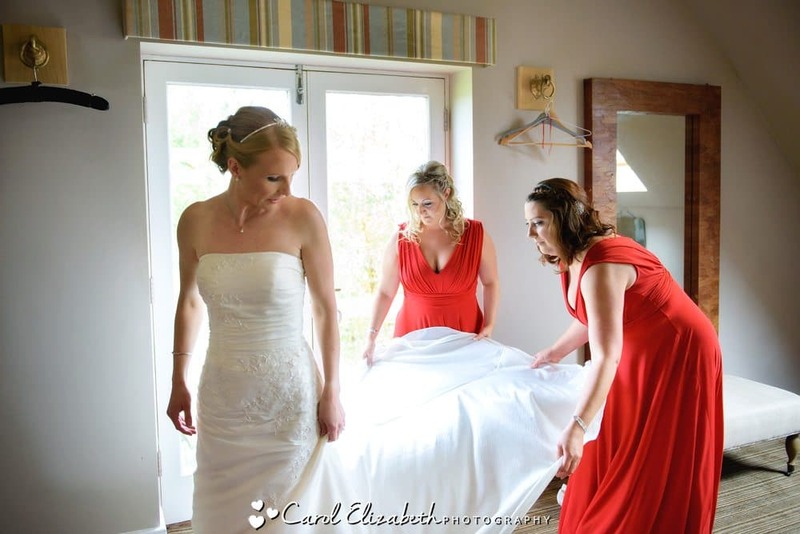 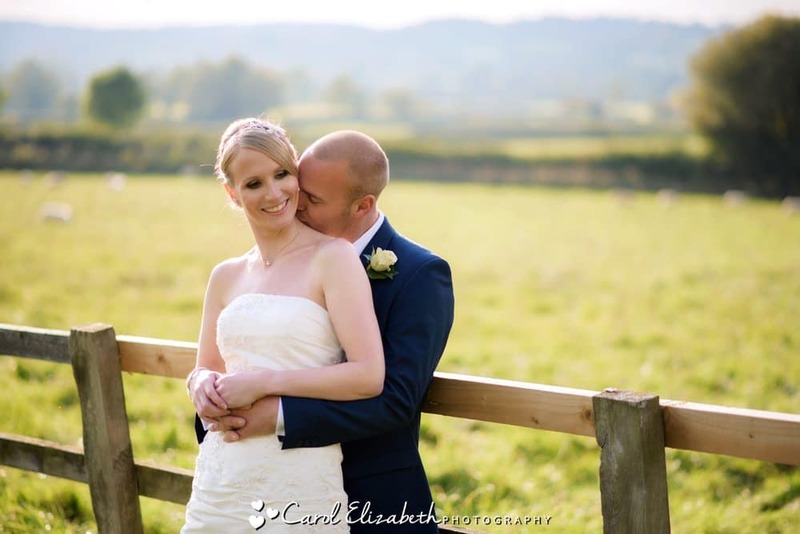 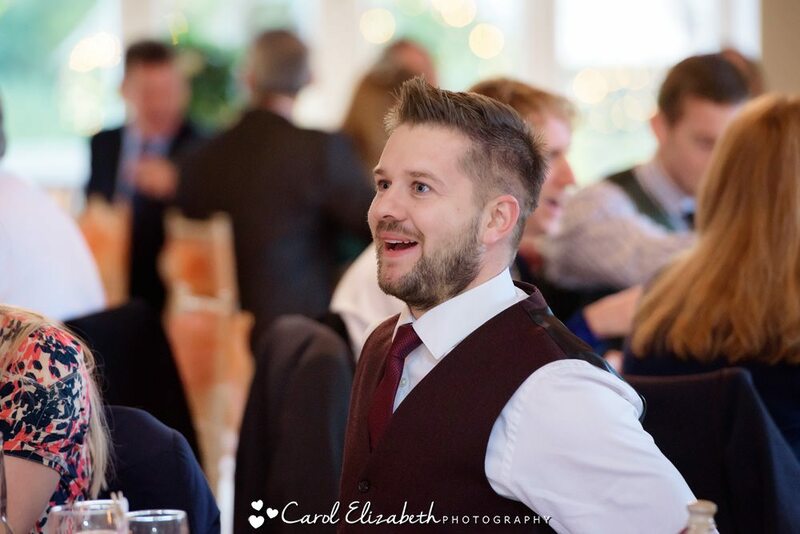 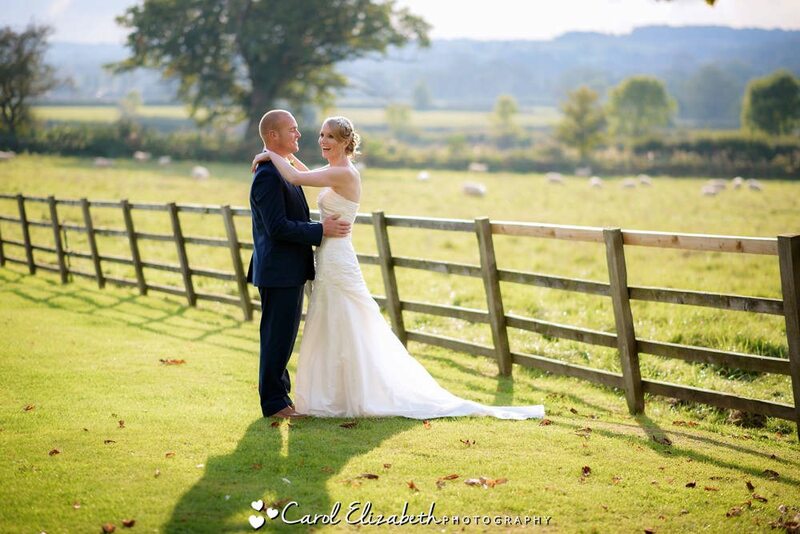 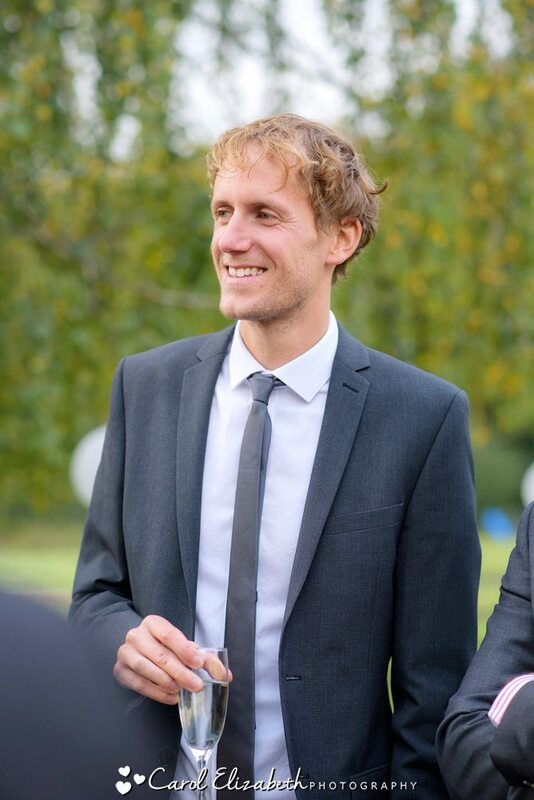 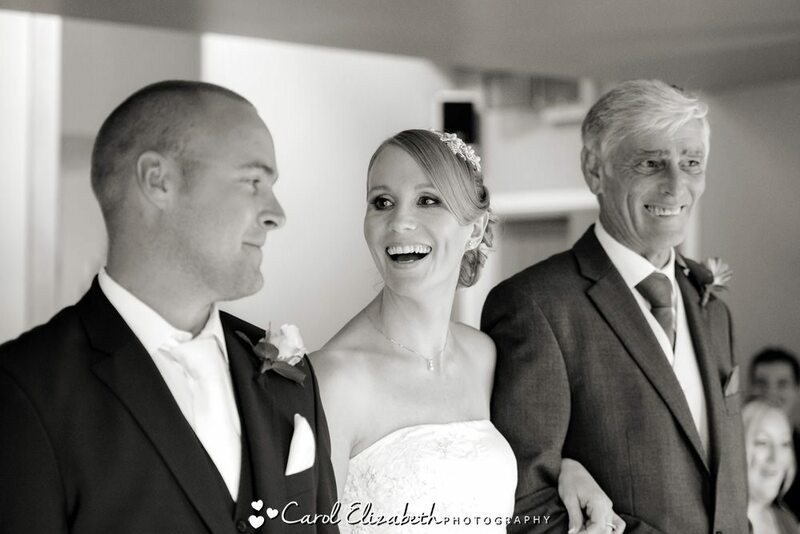 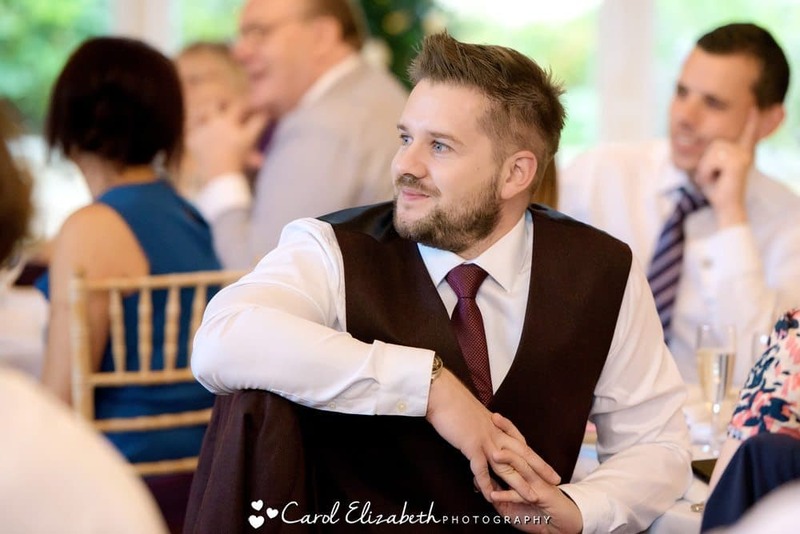 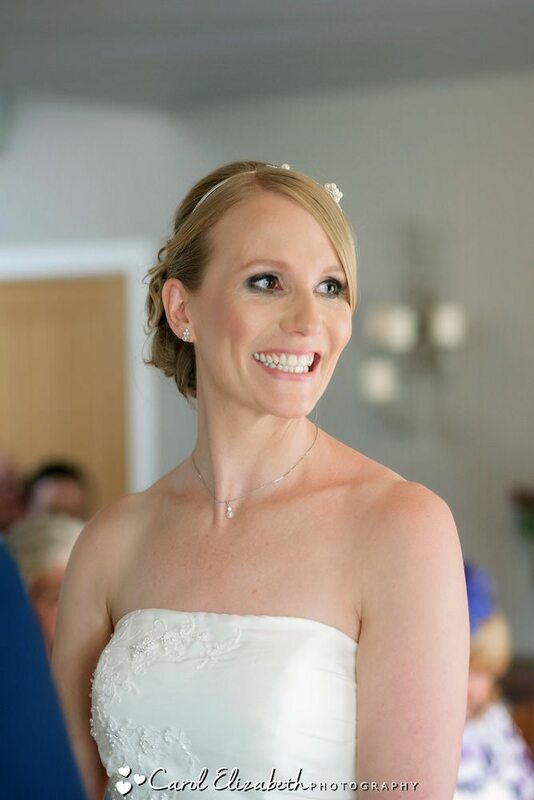 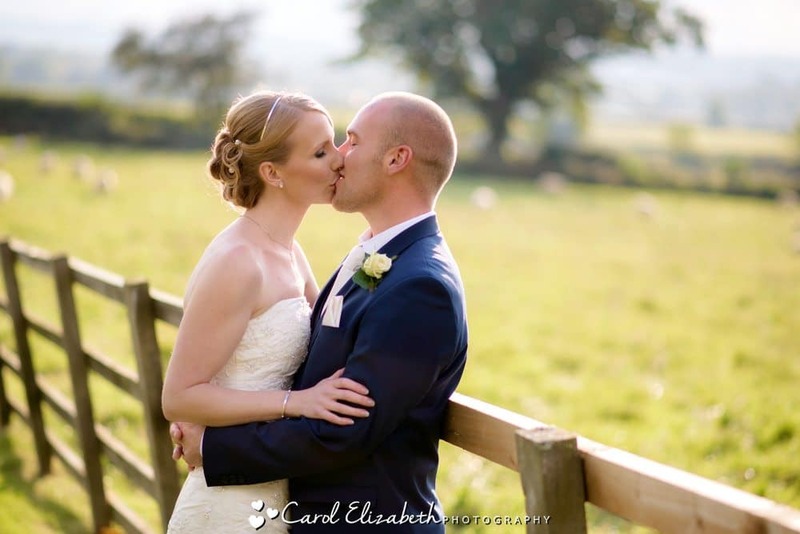 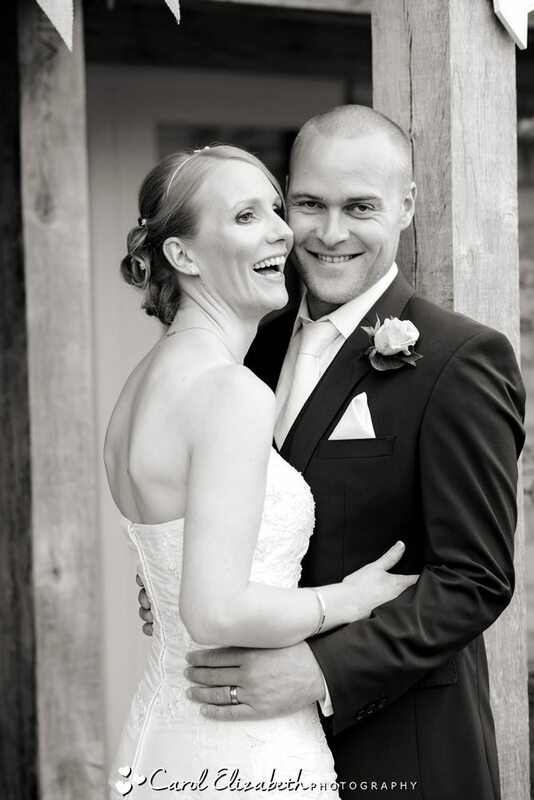 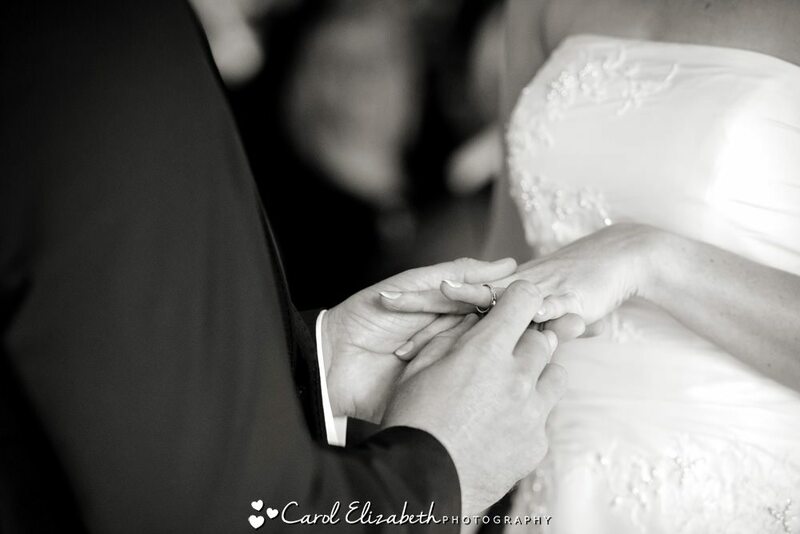 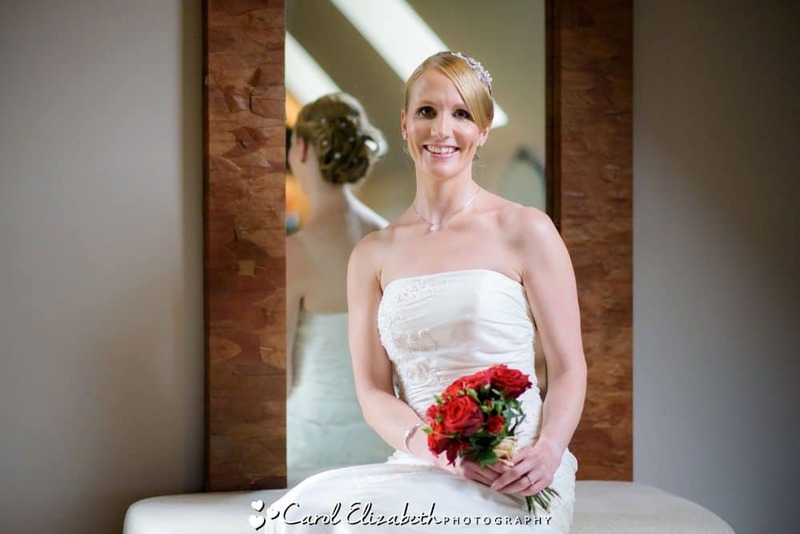 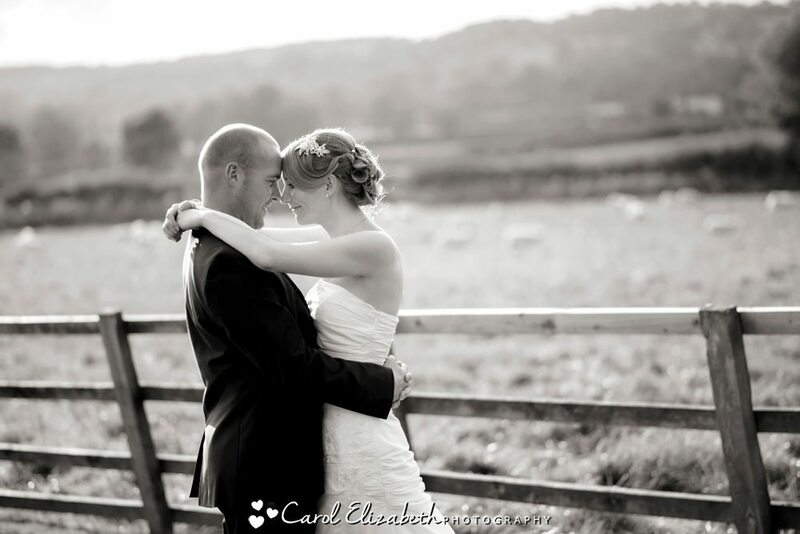 I feel my natural and relaxed style suits barn weddings and I often photograph weddings in barns, tipis and marquees. 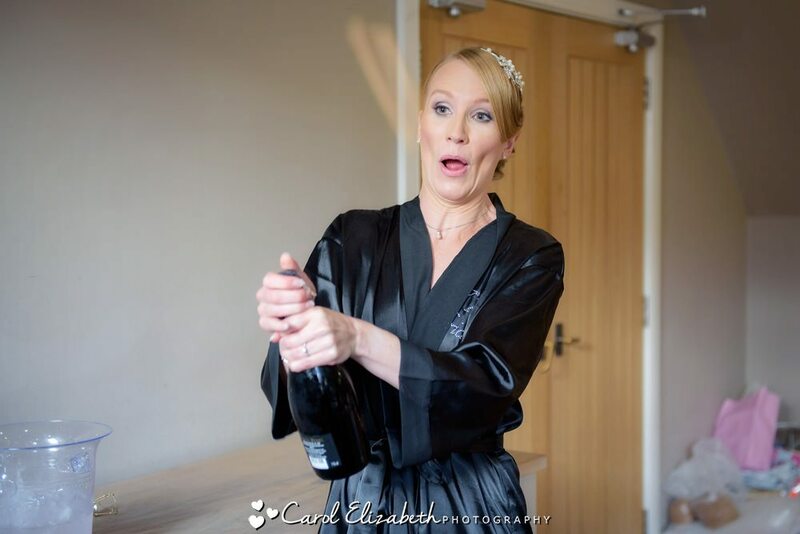 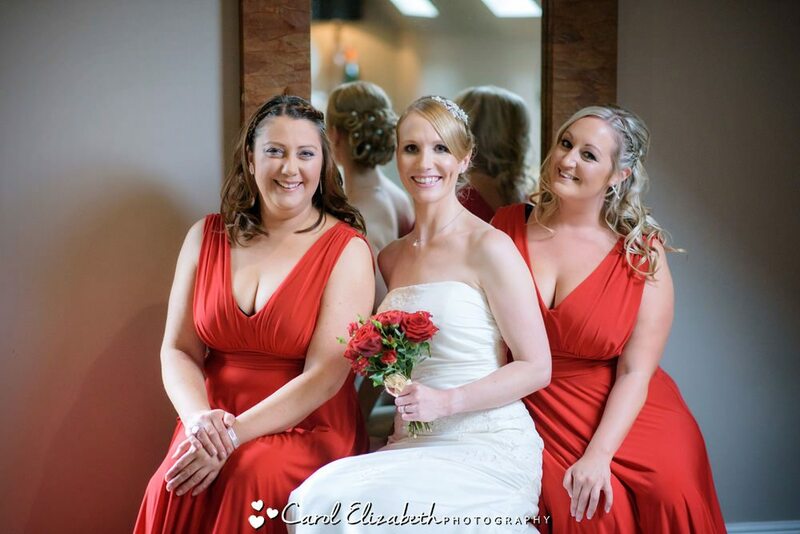 I met with Nicola and her bridesmaids in the dedicated preparation room attached to the barn, which has plenty of space to get ready, have a glass of champagne and have hair and make-up done. 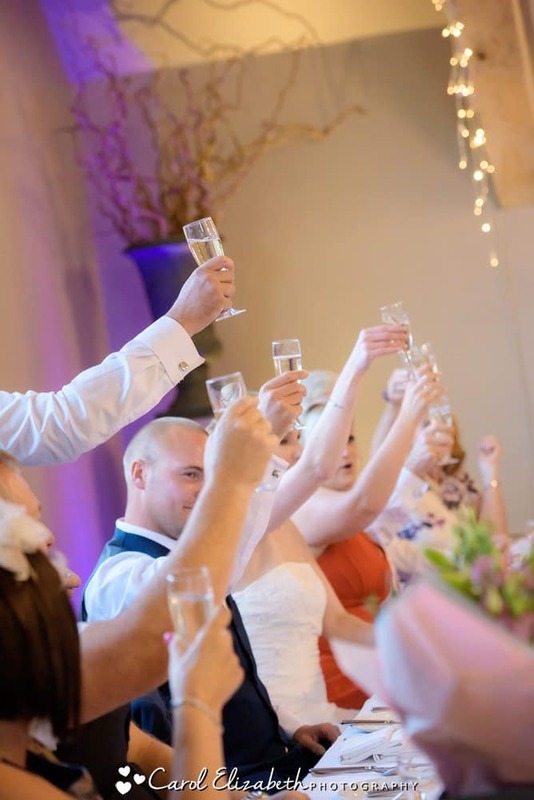 Scott and his family and guests were welcomed to Fosse Manor for a drink in the bar before heading over to the ceremony room. 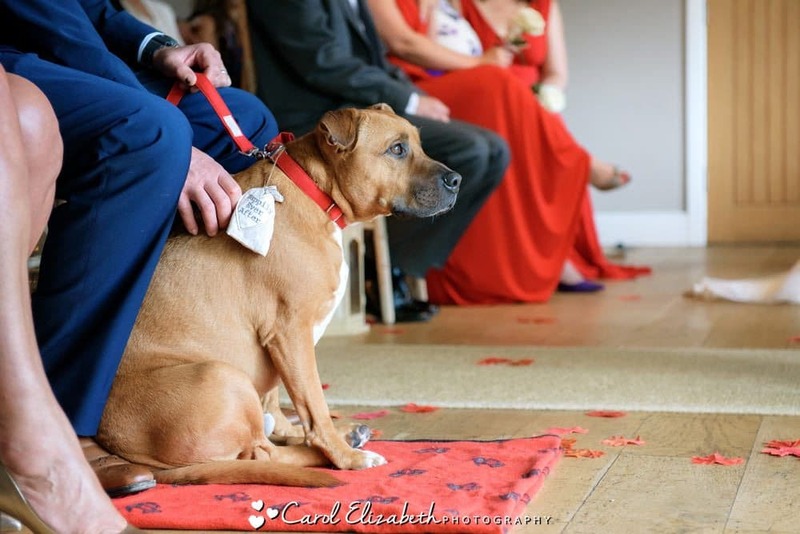 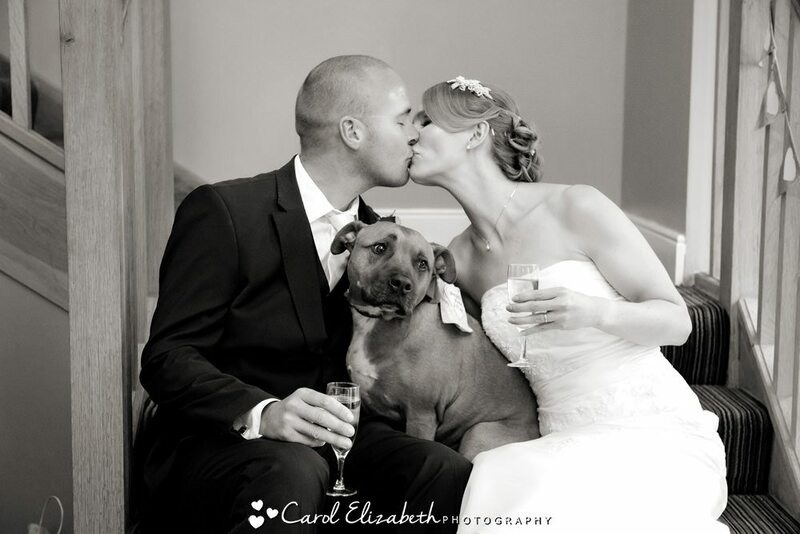 It was soon time for the wedding ceremony, with the star of the show being their gorgeous dog ringbearer! 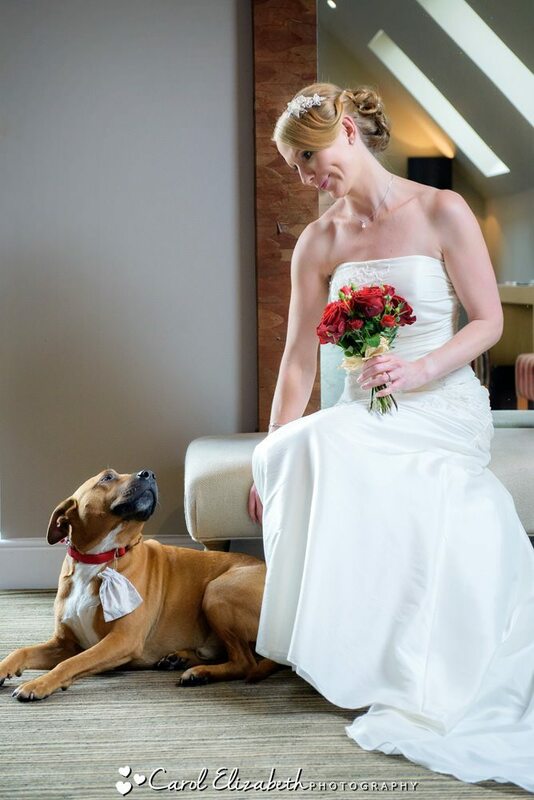 So well-behaved too! 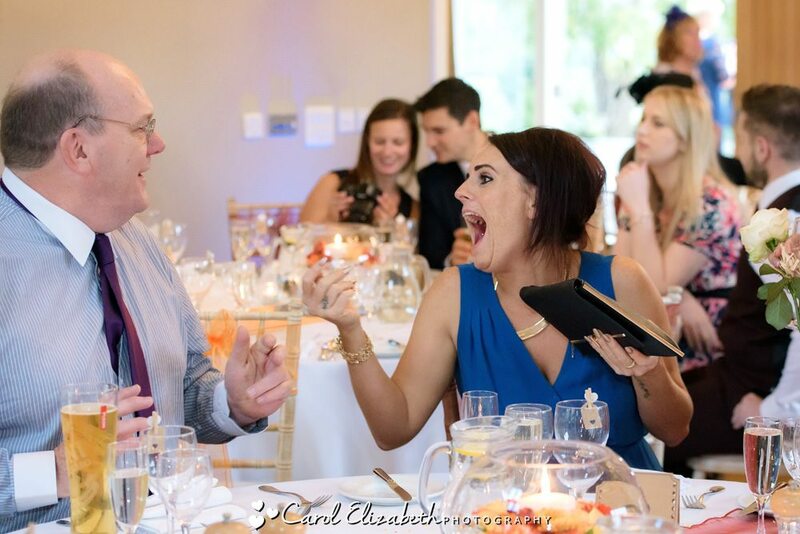 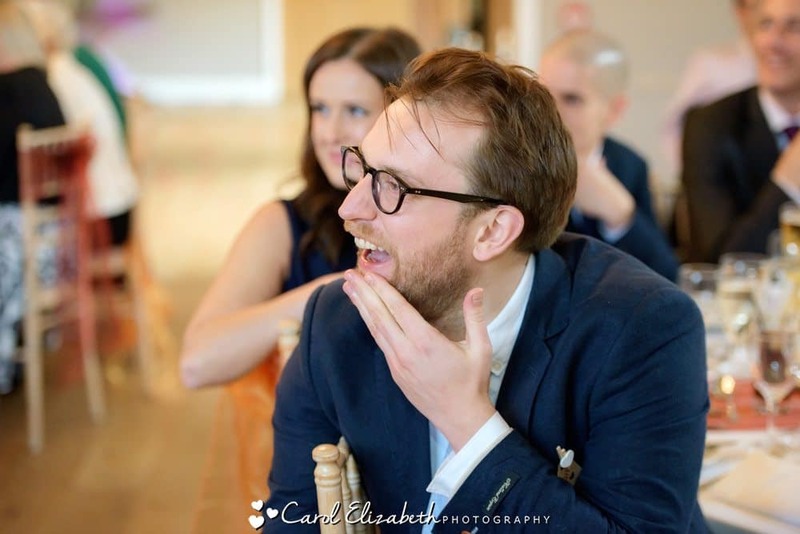 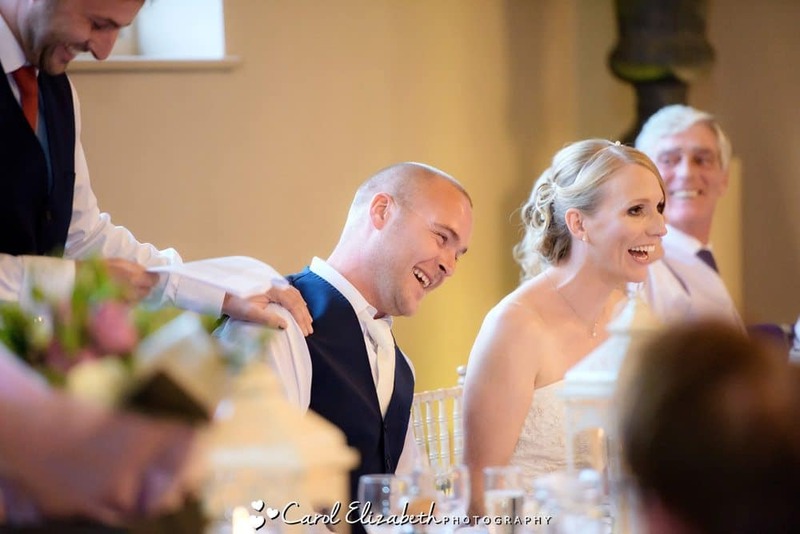 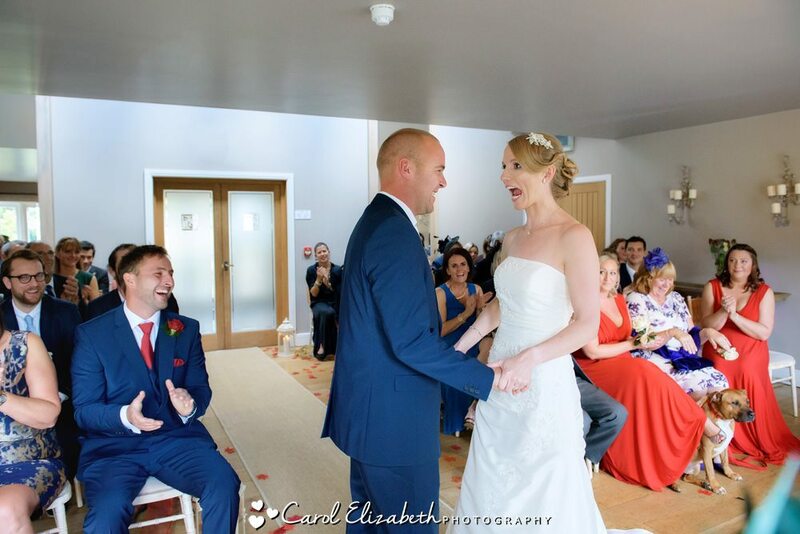 Scot and Nicola are very fun and relaxed, and there were plenty of giggles through the wedding ceremony. 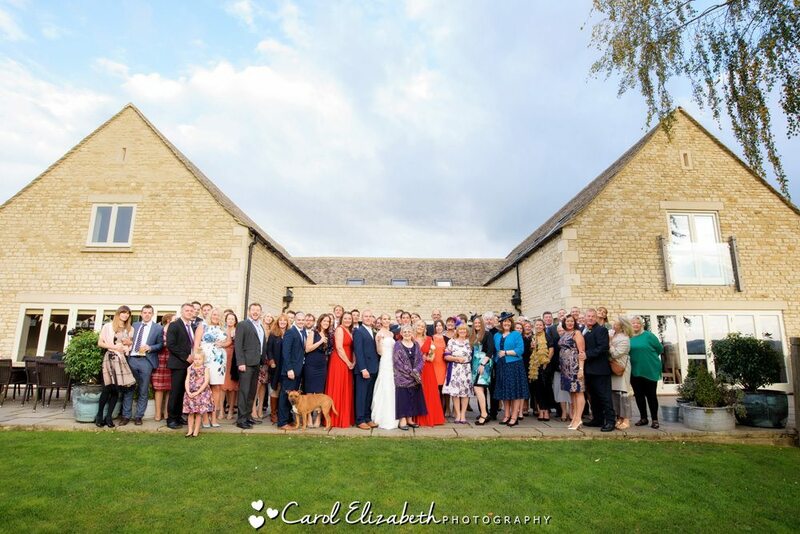 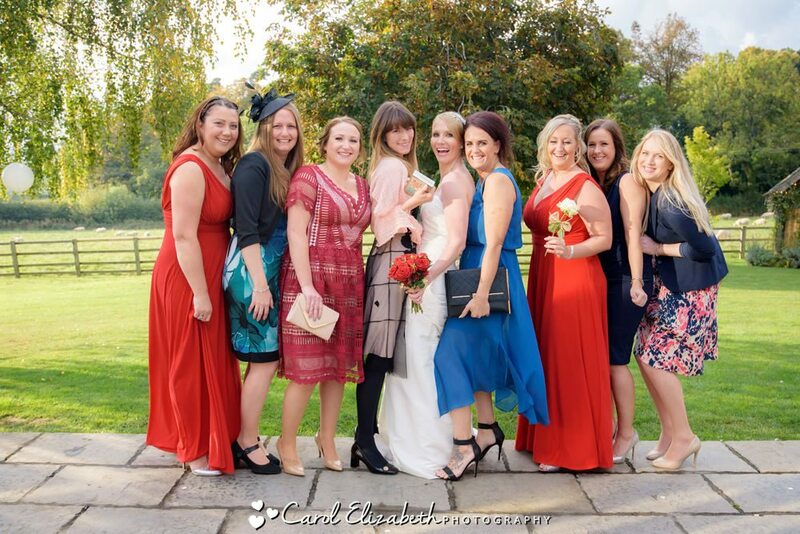 We then had time for a few photos in the grounds efore enjoying the afternoon with the guests on the terrace. 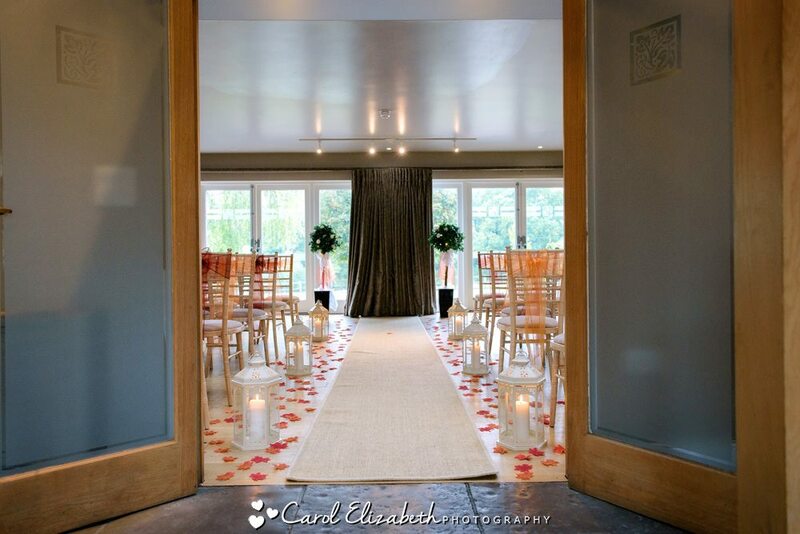 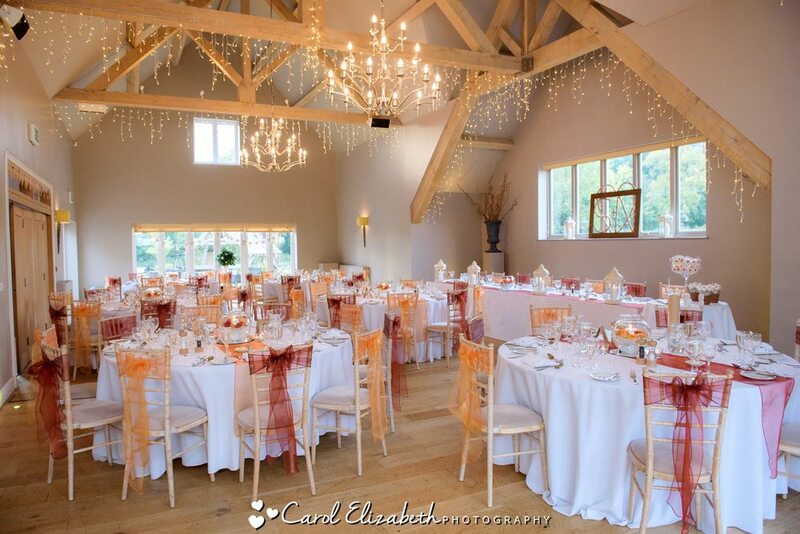 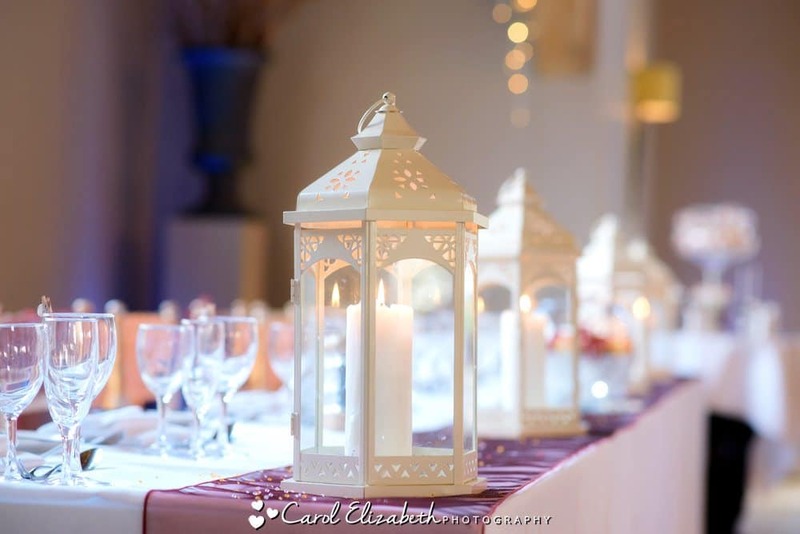 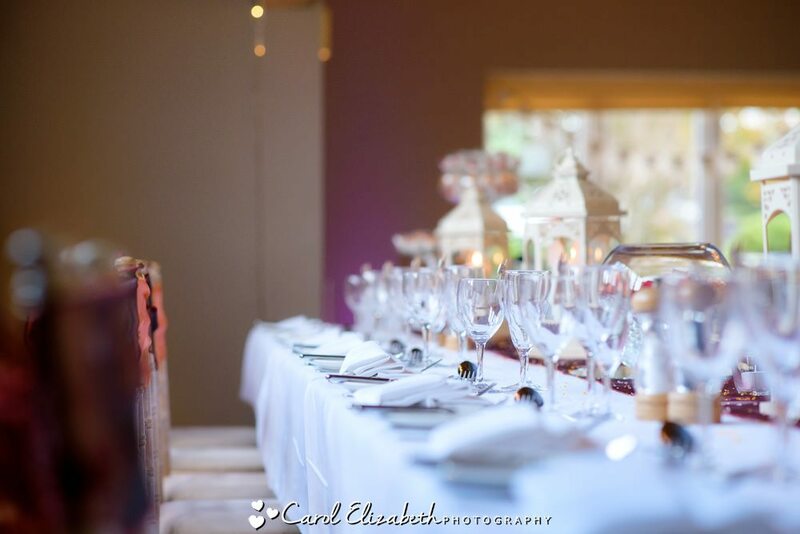 The wedding reception room at Hyde Barn is truly magical, with plenty of fairy lights making the room look very cosy. 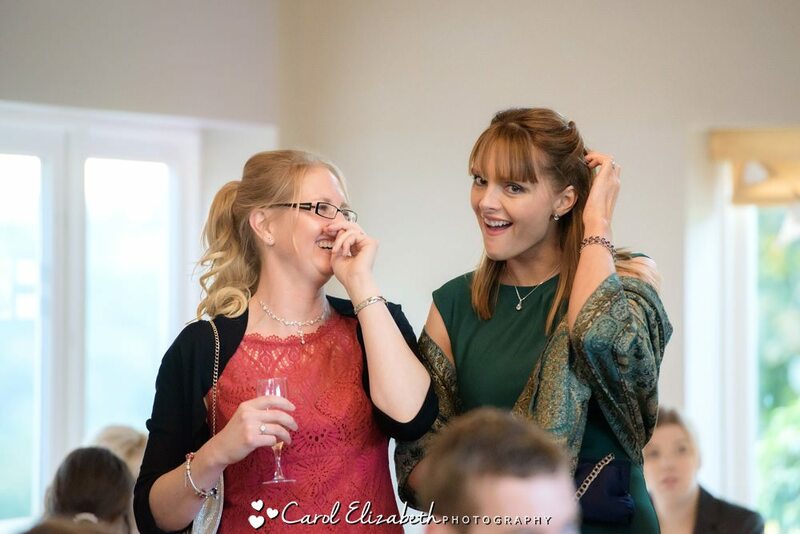 The guests enjoyed the speeches before the meal was served, and the party carried on well into the evening. 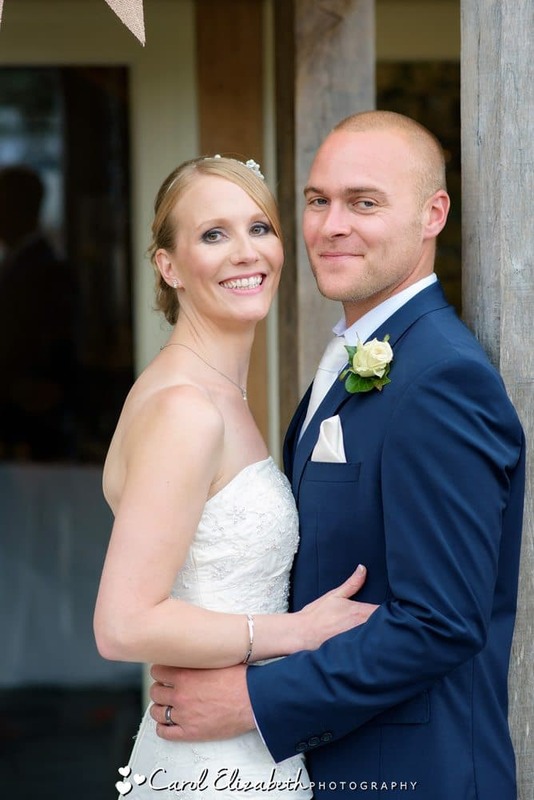 Wishing you a wonderful future, such a lovely couple – congratulations Nicola and Scott!